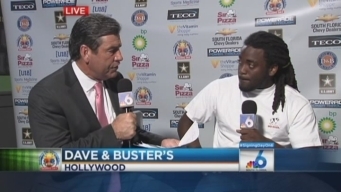 Watch NBC 6's special coverage at 7 p.m. on Feb. 6. 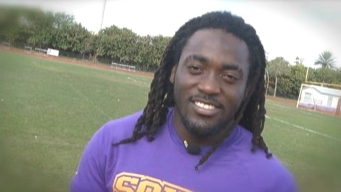 South Plantation High School running back Alex Collins told NBC 6 sports anchor Joe Rose that he's still going to the University of Arkansas – after his mother confiscated his letter of intent to the school. Alex Collins Says He's "Staying with Arkansas"
Ray Lewis Calls Seeing His Son Sign with University of Miami "Unreal"
The U happens to be the same school where Ray Lewis excelled on the football field. 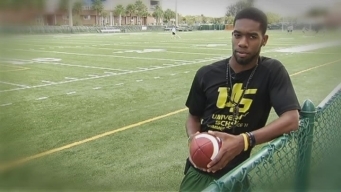 University School WR Jordan Cunningham talks about his recruiting process. He'll decide between Miami, FSU, Vanderbilt and Stanford on Signing Day. 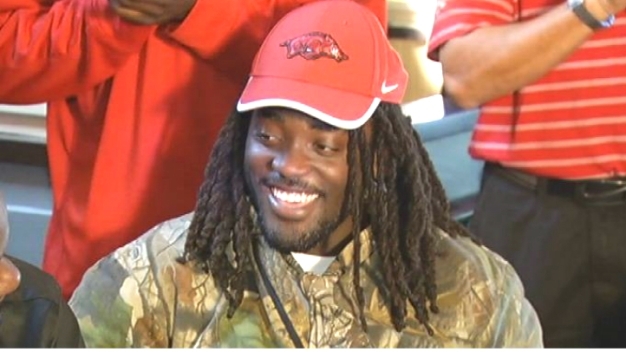 "Yes sir, I'm staying with Arkansas, I'm just waiting," Alex Collins told NBC 6 South Florida. 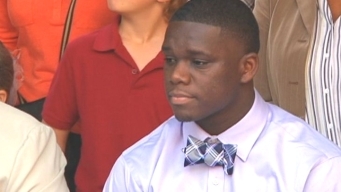 Gulliver Preparatory’s star running back, Bo Ellis, is signing his talents to Harvard University. 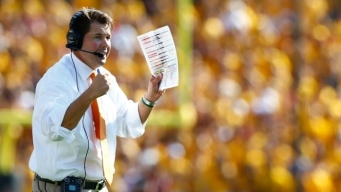 With fewer scholarships to hand out this year, Al Golden landed a handful of difference-makers while missing out on some big fish. The senior says he probably going to make his decision on Monday. Six schools will be waiting and hoping when Alex Collins announces his college choice.